Columbus first got railway service early in 1850 creating a boom for business up and down High Street, bringing immigrants to the city and teachers and students to the new Ohio State University. The first line was the Columbus and Xenia Railroad. In Xenia, the railroad connected with the Little Miami Railroad which provided service to Cincinnati. 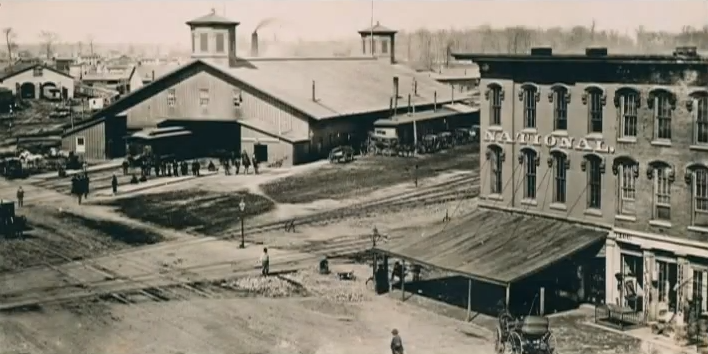 Because of the railroad’s potential, city leaders took over a piece of land north of Columbus in what is now the Short North. The first Union Station, pictured below, was built a little too close to High Street and caused blockages of the street as well as crossing accidents as more trains came through Columbus. The trains brought immigrants at first mostly Irish and then teachers and students to the new Ohio State University. Dr. Lincoln Goodale donated Columbus’ first city park. The park was one of the first modern parks in the United States. A decade after Goodale Park was given to the Columbus, the city nearly lost the space. 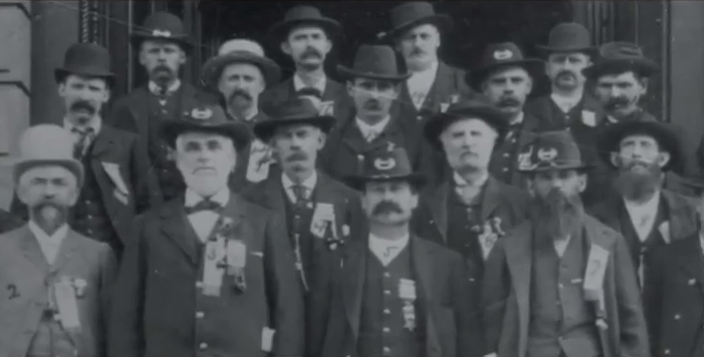 When President Lincoln called for volunteers to serve in 1861, Ohio was unprepared. The park became a hastily converted campground for the soldiers. 7,000 people were living at the park, which was more than it could hold. Three weeks after the park was invaded by the military, Lincoln Goodale wrote a letter to Columbus City Council saying the occupation was in violation of his gift. As a part of his gift, if Goodale found the land wasn’t being used according to his specifications it would be returned to him. 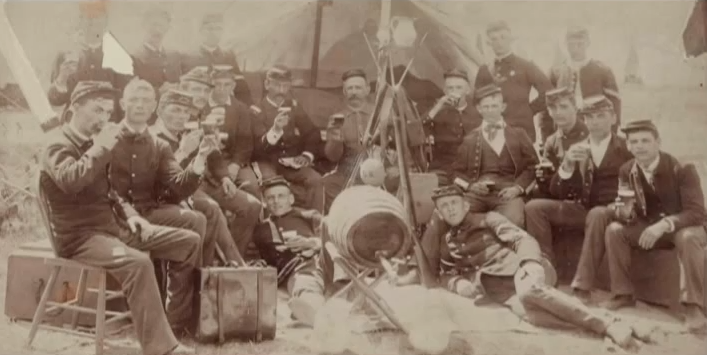 Two weeks later it was announced Camp Chase in the present say Hilltop neighborhood would be built to the soldiers. 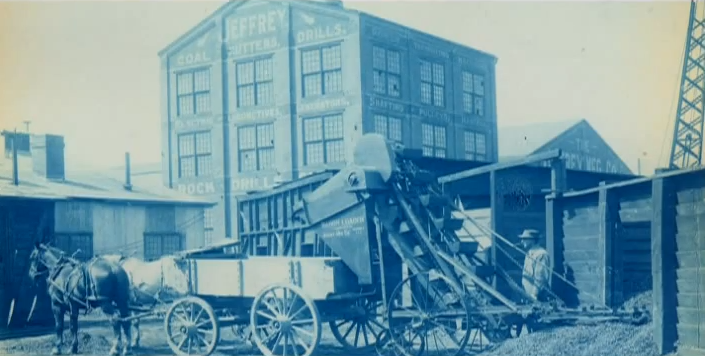 Jeffery Manufacturing Company is found and becomes one of nation’s manufactures of coal mining equipment. Located just east of Italian Village, the company employes a large amount of people that live in the Short North area. Around 200,000 people came to Columbus for a reunion of Civil War soldiers. At the time the city’s population was about 80,000. One lasting piece of the reunion was the arches along High Street. A series of temporary of wooden arches were erected along High Street to light up the night and control crime. Railroad transportation brought thousands of immigrants and new industries to urban areas as well as tremendous growth to Columbus. With the growth, traffic around the train station became unbearable. As a part of City Beautiful Movement, progressive city leaders hired famed architect Daniel Burnham to build a the city’s third Union Station in 1897 to provide a remarkable entrance to the city. Burnham came to Columbus and designed the third Union Station in Beaux-Arts Classical style. The architect was know for the Flatiron Building in New York City as well as the Wyandotte Building in Downtown Columbus. As a resource to raise children, Anna Keigel creates a community house where people in the neighborhood could find the help they need. One of the biggest first challenges was sanitation. The house later becomes the Godman Guild. In the 1950s and 1960s, freeway construction and urban renewal efforts resulted in the destruction of many historic city neighborhoods. 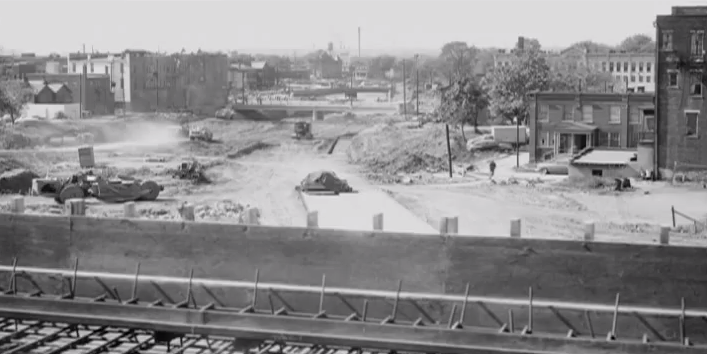 In the Short North, the “Flytown” neighborhood was targeted for destruction, and the Goodale Expressway (later I-670) was constructed in its place. The freeways allowed many residents of the neighborhoods to move to the new suburbs. In the 1950s some parts of the Columbus were so badly deteriorated that the only way to save them was to demolish housing and redevelop. New apartment buildings were built next to old family homes—changing the character of the neighborhoods. Columbus’ Union Station Arcade once a crown jewel of the city’s architecture was demolished to make room for a new convention center. The demolition started on a Friday night. Hours later overnight, a judge halted the demolition, however only one arch could be saved. The arch now sits on Nationwide Boulevard in the Arena District. The result of the loss of the Union Station Arcade started a historical preservation movement in Columbus. The charm of the buildings and the potential for redevelopment in Columbus’ Short North turned what seemed to be a blighted area into a burgeoning urban renewal project that began in the 1970s. Short North artists and gallery owners tried many ideas to attract visitors without much success, until a monthly co-operative reception that was held on the first Saturday of the month. The idea was an immediate success and has become on the city’s most popular events throughout the year.